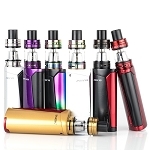 The OVNS JC01 is a well made battery that is credit card thin for discreet travel use and it is made to be compatible with a variety of different pod options for both thin oils and salt e-liquids. 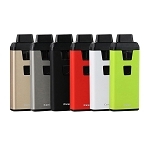 It is made to support both the JC01 Refillable 0.7mL Pod atomizers for e-liquids (2.0ohm) or thin oils (1.5ohm). You can also use a wide variety of similar style prefilled pods from other leading brands on the market. 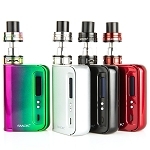 It uses a convenient auto draw activated firing system to quickly create on demand vapor without the use of any buttons. Just inhale and the JC01 does the rest for you, it's just that simple. 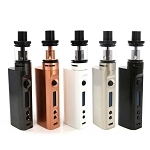 The JC01 has a powerful 400mAh lithium ion battery packed inside that uses a constant voltage output based system. It has an LED power light indicator that shows you how much battery left you have at all times. There are four total lights on the device the bottom three indicate battery life (3 :10-100%, 2 : 70-30%, 1 : Below 30%), and the bottom light shines while the device is firing. At just 2.6" inches long, just over 1.5 inches wide and not even half an inch thick, the JC01 Pod System easily one of the smallest on the market. Grab yours today in one of ten eye-catching color options. Please note the JC01 Kit includes just the battery and charging cable, any pods must be purchased separately.